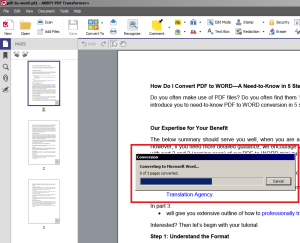 How Do I Convert PDF to WORD 2 – Are you lost with the PDF conversion question? 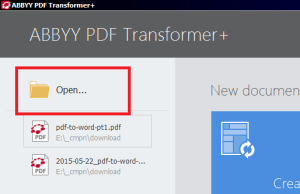 You’ll find here a simple graphical guide for converting PDF in just a few easy steps. 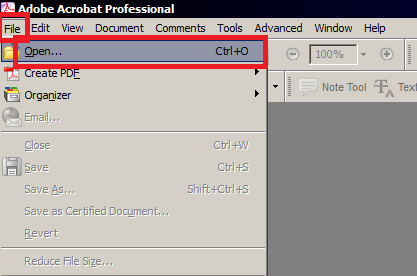 Using pro methods. 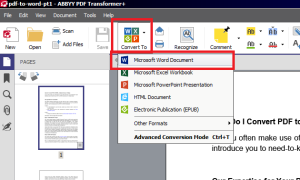 In part 1 of our PDF-to-WORD mini guide we have provided you with a summary of basic information regarding conversion question. 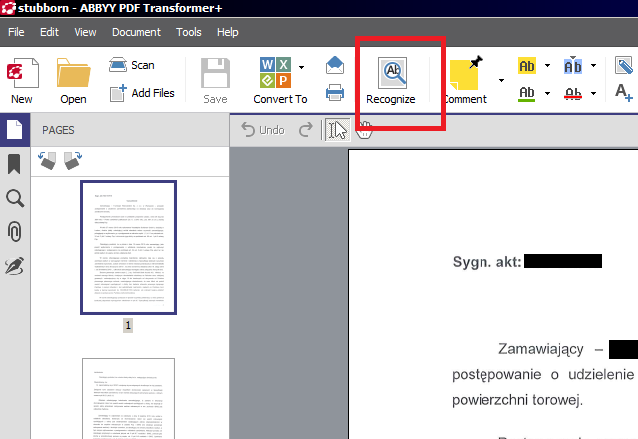 We have accustomed you in 5 steps to the issue of format understanding, definition of the purpose, identification of the type and choice of the method. 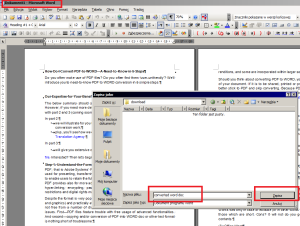 As well as, briefly, the matter of the necessity to work out the resulting converted WORD file. 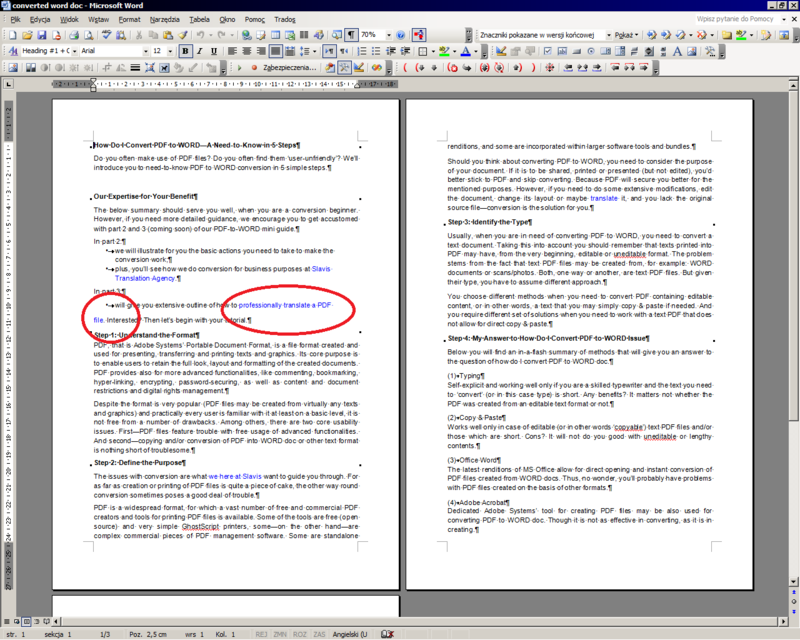 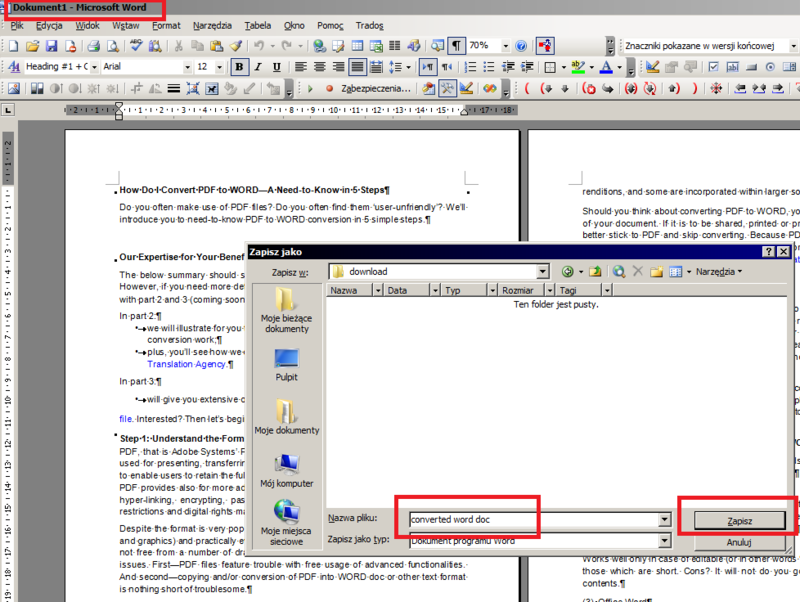 Here, in part 2 of the mini guide you will find a ‘roadmap’ (with screens) of how to convert PDF to WORD, step by step. 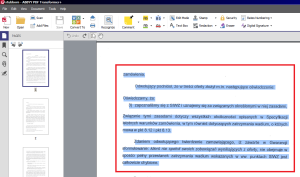 The methods we present here are used by Slavis Translation Services—a trusted and proven professional translation service provider. 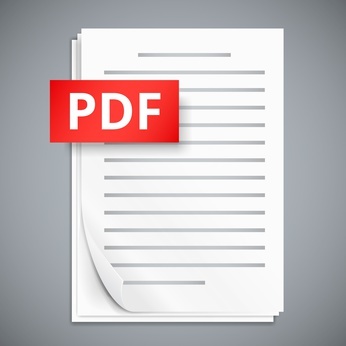 Using our expertise and following our tips you’ll find your way out with even the most complex PDF files. 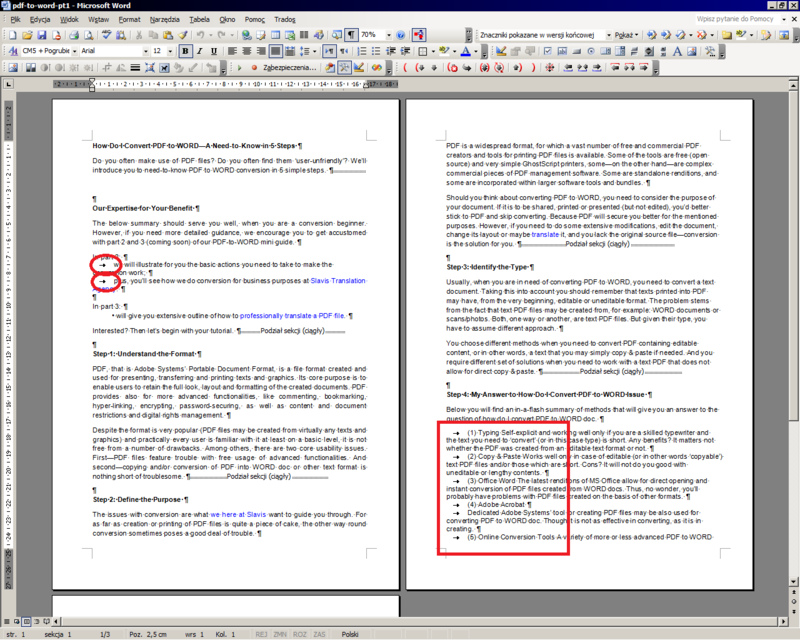 No matter if the source text format for PDF was editable or not. 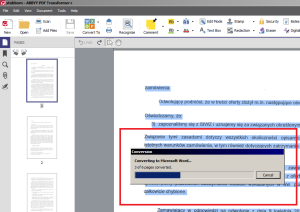 When it comes to converting PDF to WORD, Slavis restricts its choice to 3 methods that secure the best outcome. 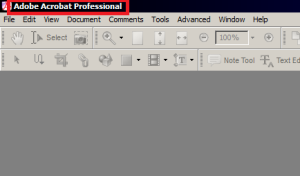 We encourage you to utilise them in order to obtain the most professional results. In case of low quality PDF files printed from non-editable source text formats the methods of our choice will furnish you with a decent resulting file. 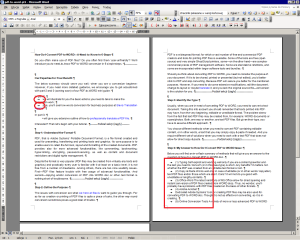 ‘Decent’ to the extent enabling you to prepare the ‘layout as close to the original, as possible’ within a shortest possible timeframe. 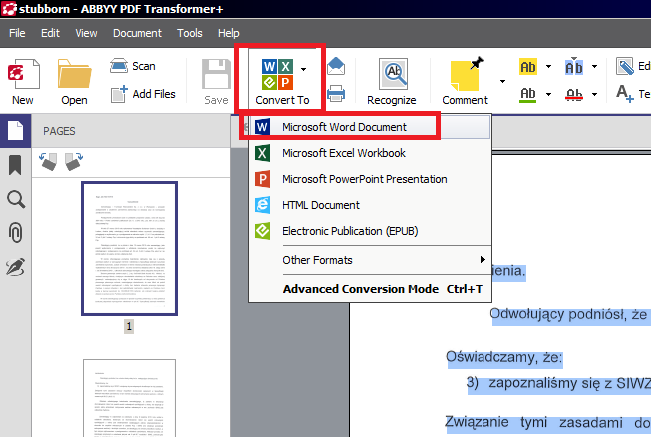 If your are short of time and workforce dedicated for dealing with PDF to WORD conversion, you’ll surely find our solutions reasonable. 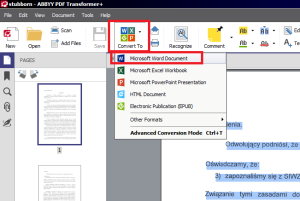 As we have pointed it out in part 1 of our mini guide, there is a number of ways to convert PDF to WORD. 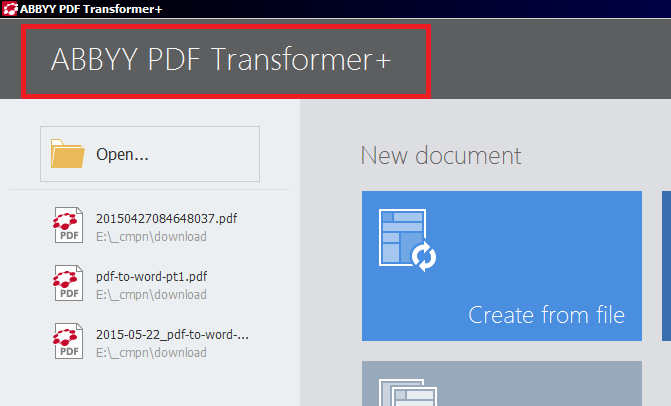 The problem is that most of them will do the trick only if the PDF layout is ‘not so much’ complicated, and/or the PDF file is short, and/or its content is ‘copyable’. 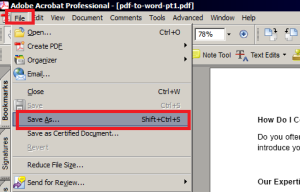 Thus, as already noted, no matter the characteristics of the PDF file, we’ll show you 3 professional solutions used by Slavis. Check them below. 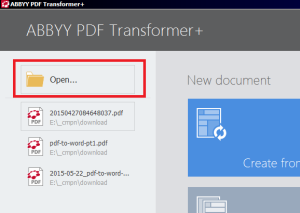 Solution working well with ‘copyable’ PDF files. Until recently, among Adobe PDF-dedicated applications, only Adobe Acrobat featured the possibility of converting PDF to WORD. 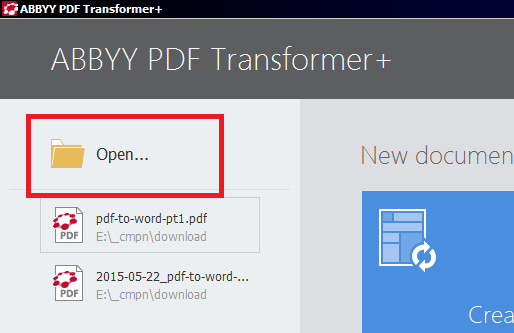 Most up-to-date renditions of Adobe Reader provide for this possibility, too. Though usually, it is connected with the necessity of using Adobe cloud services for saving converted documents. 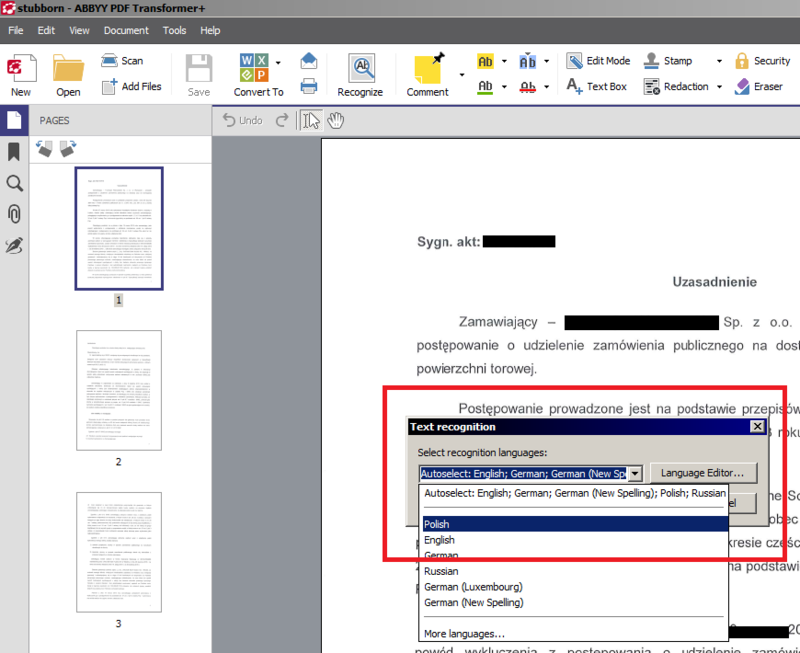 Slavis Translation Services uses both ABBYY FineReader, as well as ABBYY PDF Transformer+. 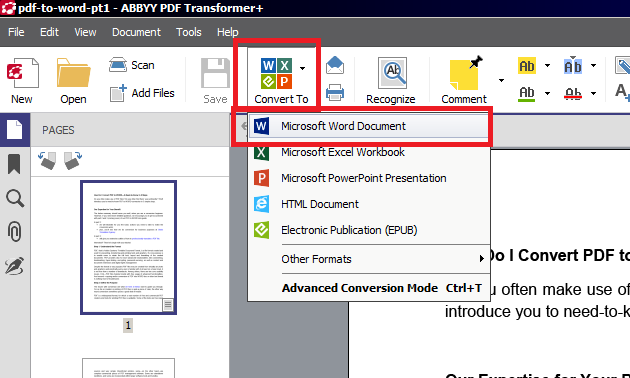 Below you will find step-by-step illustration of PDF-to-WORD conversion processes with the use of ABBYY PDF Transformer+. 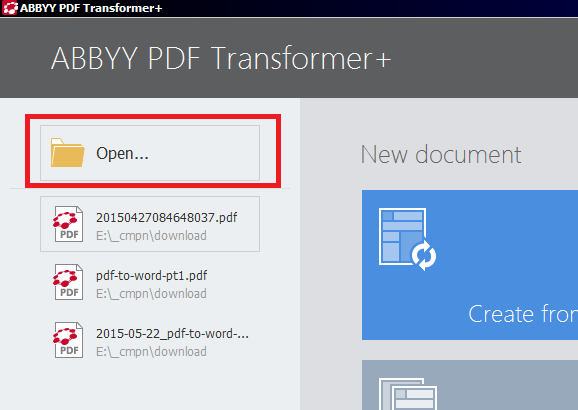 First, we’ll start with something easier: ‘copyable’ PDF file. 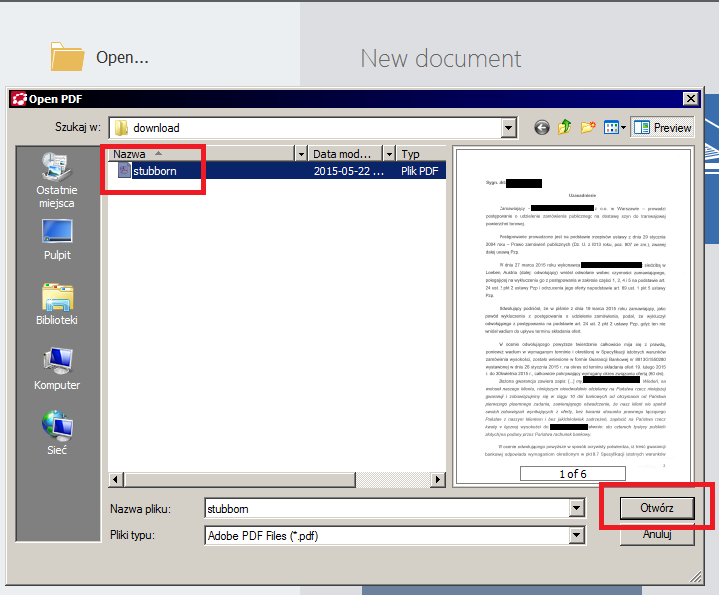 And to end with—method of dealing with troublesome, non-editable files. 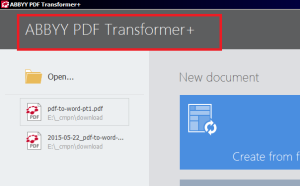 This is a professional and advanced solution for really ‘stubborn’ PDF files, that cannot be otherwise processed: neither copied & pasted, nor converted with the use of online converters, nor cannot be saved to WORD file with the use of Google Docs, the newest renditions of Microsoft Office or Adobe Acrobat/Reader. Let’s begin. 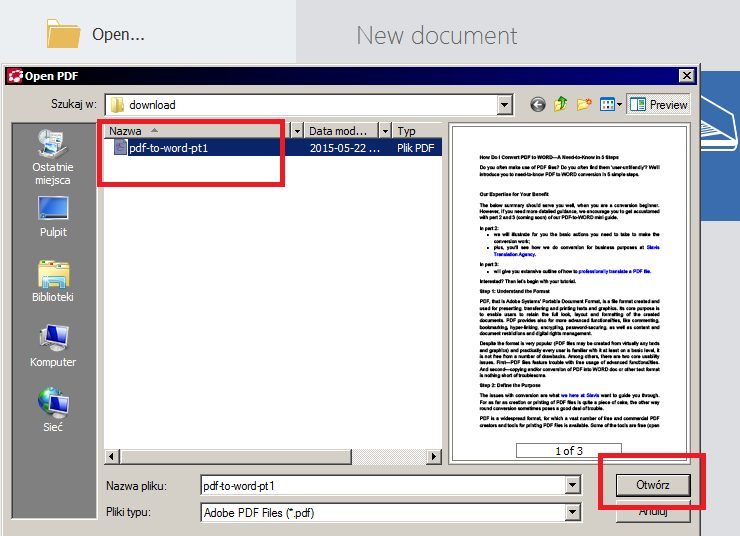 So you’re ready with the converted file. 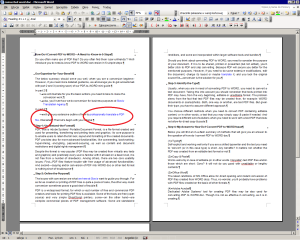 It’s all nice and clean. 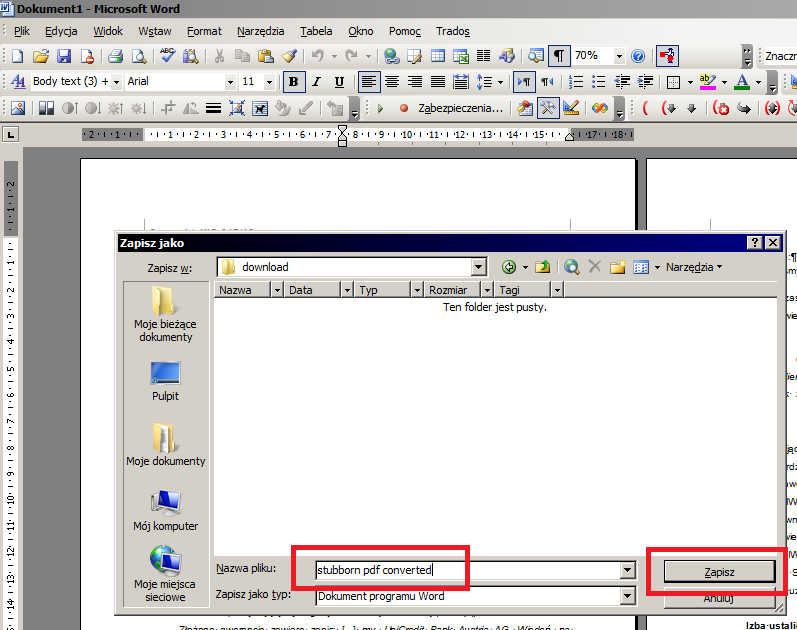 And what to do next with it? 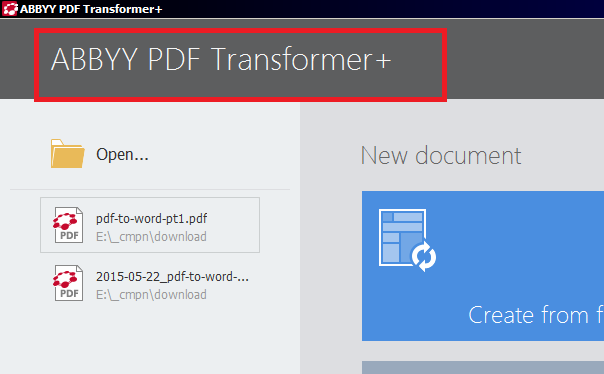 You usually convert (and/or OCR the PDF file), because you want to use it for a certain purpose. 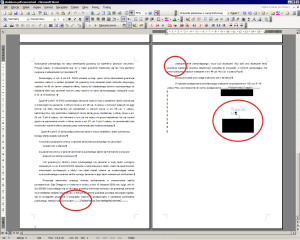 At Slavis Translation Agency we employ these solutions in order to prepare the PDF files for translation, e.g. 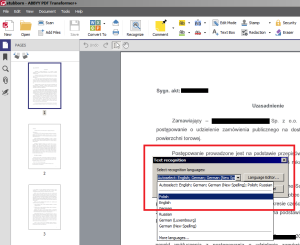 English to Polish. 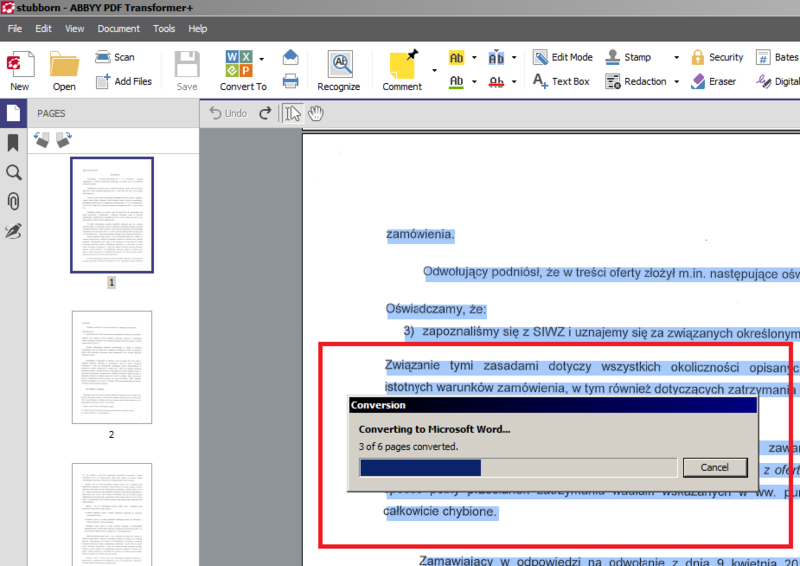 For as much as translation of PDF content is as demanding as translation of any other text, it requires much more ‘technical’ expertise at the start. And Slavis is the expertise-provider you are looking for. 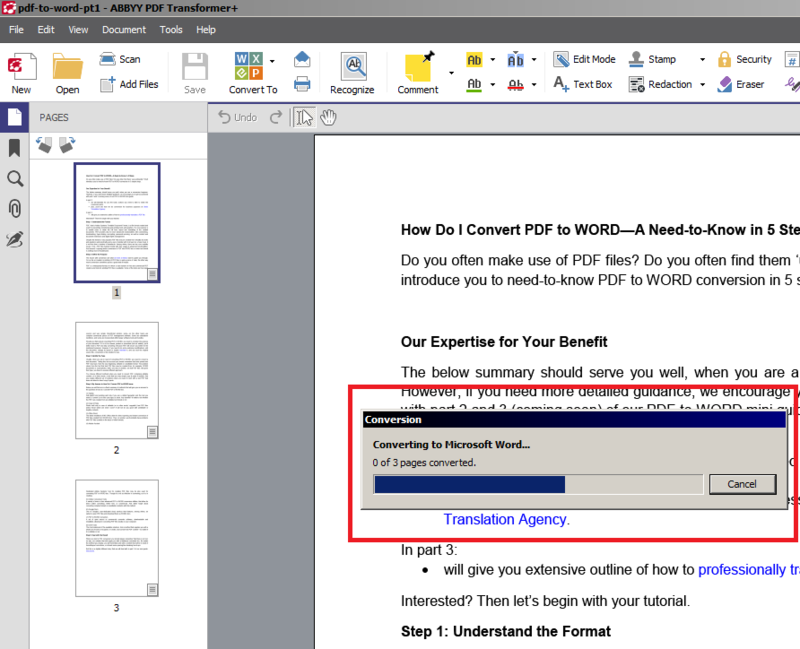 In part 3 of our PDF-to-WORD mini guide we’ll show you how to professionally translate PDF. You’ll learn about what you should pay attention to and we’ll give you hints on what approach to assume when considering PDF file translation. 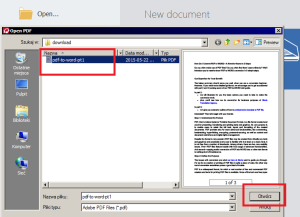 Check our blog for the latest updates. 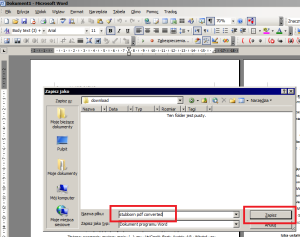 Poprzedni Poprzedni wpis: Why Invest in English to Albanian Translation?